I am creating Mind Maps™ for project management coaching activity. I found Mind Maps™ are giving excellent way of visual communication compared to verbose presentation slides. 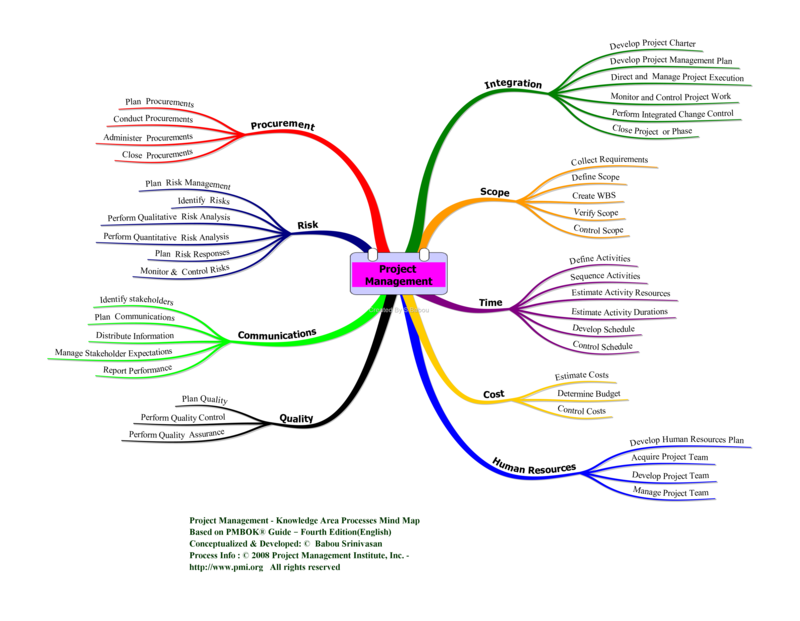 Especially in project management, Mind Maps™ have wide range of application like decision making, risk planning, process flows, etc. In this map, I presented PMBOK process groups & processes within those process groups. Click on the Image to view it in HQ (3900 px * 2861 px). You will get a nice printout on A4 Landscape paper. Here is another Mind Map in Knowledge Area perspective. Update on 12th June 2010 – For benefit of everyone I put the entire Process Group/Process/ITTO in a Free Mind file (.mm format) in this blog using box.net file sharing service – it appears as last item in the left side bar. The use of the term “Mind Maps” is claimed as a trademark by The Buzan Organisation, Ltd. in the UK and the USA. The trade-mark does not appear in the records of the Canadian Intellectual Property Office. In the U.S. “Mind Maps” is trademarked as a “service mark” expressly for “EDUCATIONAL SERVICES, NAMELY, CONDUCTING COURSES IN SELF-IMPROVEMENT” – other products and services are not covered by the trademark. 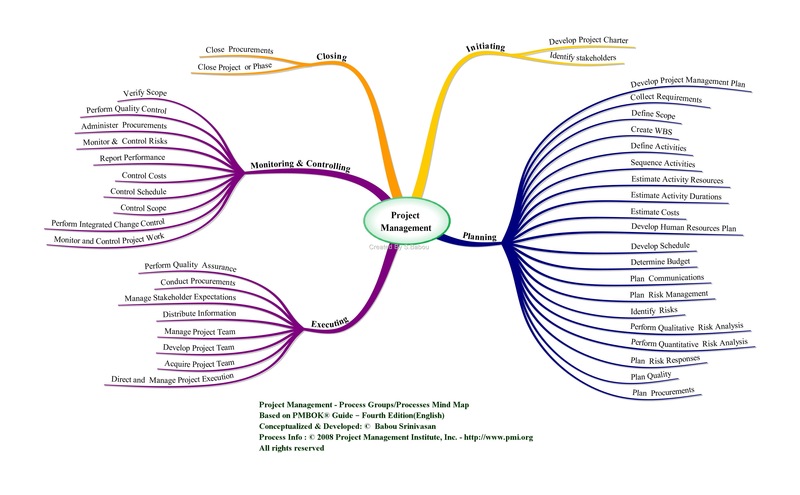 This entry was posted in Framework, Project Management and tagged Framework, Project Management, Project Management Mind Maps, project management process, project management process groups. Bookmark the permalink. What is the password for the excel files given in the box.net file sharing service (last item in the left side bar) ? All files in box.net will have “leadershipchamps” (without quotes) as password. Nice. Mind maps are genius! I’d be glad if some body could guide me how to get other proccess mind maps? Thanks. 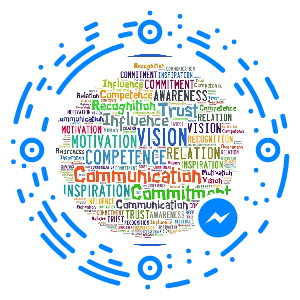 Can you share the mind map file that would help PMP aspirants.? I am currently doing lot of design changes & content addition to the mind maps that I am preparing. I am planning to share the whole stuff once I am done with my changes. Please wait for sometime.